Please send us SPORT themes and news which could be added here. Subject to approval. Archive: The Hamburg CyClassics | 18th Aug 2007 - The city roads were closed once again on Sunday 19th August, causing the usual chaos that seems to happen so often in Hamburg. Many people will find that they cannot get out of their own houses and even crossing the road could be impossible. For fans of the CyClassics, you can find more here and here (news) or avoid it all by travelling underground - www.hvv.de. See the 2005 photos in the Hamburg Gallery. The sponsor of this event is the company which sparked concern about safety in nuclear powerstations - more here. For the next CyClassics, please follow the links. Cyclassics. If you fancy a laugh, follow the link for radsportfotos on the official website. Please report dead links and please inform us if your link or the information you supplied has changed. 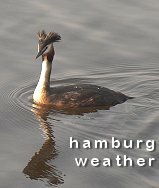 Applications for the Hamburg CyClassics can usually be made here. The 2005 CyClassics can be seen in the form of photos in the Hamburg Gallery. English speaking football teams needed - not American Football, due to lack of football teams... by request... see below. American football can also be included here. Croquet - the Queen of Games! Just think of Alice in Wonderland!! The old Victorian game is experiencing a revival throughout the world and the number of clubs in Germany is on the increase. 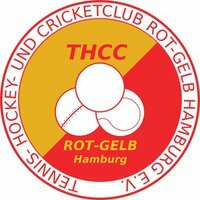 Our season started on 18th April 2004 in the RSV Tennis and Hockey Club, Marschweg in Rissen - to find out about the new season please contact us. There was an Open Day on Sunday 25th April 2004 for anyone interested in the game so that they could have a go for themselves. No further obligation, but we would be pleased if some of the "potentials" are interested enough to join the Club as regular players when coming along to such days. Großflottbeker Tennis-, Hockey- und Golf Club e.V. €URO Prices - September 2004 - check first for latest prices. Price: Adult € 8 for the day (children € 4), € 5.60 (€ 2.80) for three hours and € 4.80 (€ 2.40) for one hour. Two halls and differing water-relevant activities including whirlpool and water fitness. This Eppendorf swimming pool is architecturally interesting - old style.